On February 24th, 1991 the ground war by the Allied forces began. Before dawn the attack began. But by dawn, the generals realized something remarkable was happening. The Marine columns were driving right through the enemy positions. While allied aircraft watched for a counter-attack, thousands of Marines poured into Kuwait almost unopposed. After six weeks of relentless bombing, half the Iraqi conscripts on the front line had already deserted. Those who stayed were just waiting for their chance to surrender. In those first hours, 8,000 Iraqis were captured. The Iraqi collapse was so sudden, the allied commanders didn’t yet realize how their success could undermine the larger plan. The Marines had advanced into Kuwait so quickly the Republican Guard didn’t come south to counterattack. The Marine Corps’s left hook attack was not due until the following day. That would give the Republican Guard time to escape. Schwarzkopf had miscalculated, but had there been evidence weeks earlier of what might really happen when the allies attacked the Iraqis? Had there been lessons to learn from the battle of Khafji? After Saddam attacked the Saudi town in January and his forces were destroyed, some of Schwarzkopf’s staff began to suspect the Iraqis simply couldn’t stay in a fight with the allies. Meanwhile, inside Kuwait on the second day, the Marines pushed on towards Kuwait City. But Saddam had ordered a surprise. Out of the burning oil fields, hundreds of tanks from Iraq’s second line of defence, the regular army, suddenly attacked the Marines’ right flank. The Marines regrouped. Cobra helicopter gunships were quickly sent into the fight. It was the largest tank battle in the Marines’ history. As they arrived they saw from horizon to horizon, Iraqi tanks & armoured vehicles. But as they started hitting the tanks strange things happened. All the tanks stopped. The armoured vehicles stopped. The hatches flew open. The Iraqis started bailing out of the tanks and scrambled around in the desert, trying to figure out what was going on. The Iraqi troops tried to retreat back into the oil smoke. Over 100 armored vehicles were destroyed. 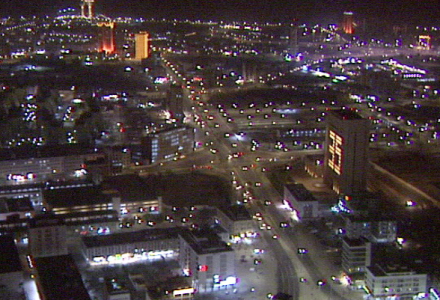 In Baghdad, Saddam was told his counter-attack had failed and the allied advance on Kuwait City had resumed. That same night the Iraqis began to pull out of Kuwait City. Iraqi soldiers piled into every vehicle they could find, a vast convoy headed north. Three days into the land war, the army that had occupied Kuwait City for seven months no longer existed as a fighting force. Hundreds had been killed. But in the next few hours what happened would become an important factor in ending the war – Saddam’s best troops, the Republican Guard, were starting to escape. 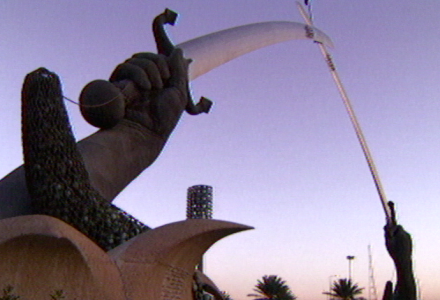 In Baghdad, Saddam Hussein was fighting just to survive. The allies were trying to cut off and destroy his retreating army, especially the Republican Guard, one of the keys to his power in the region and inside Iraq. Even Saddam feared his regime might be finished. The Marines had liberated Kuwait City, but the most intense fighting of the war had yet to begin. The heavy armour of the Marine Corps was chasing the Republican Guard. They had destroyed one division the night before. The remaining divisions were now trying to escape toward Basra, leaving behind only a rear guard to protect their retreat. The Marines destroyed the remaining divisions. The war was over. Now another war began, the war to overthrow Saddam Hussein. 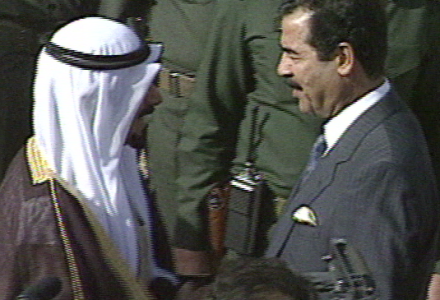 In Iraqi cities in the south, close to the allied front lines, Saddam’s rule had collapsed. Ordinary people, mostly Shia Muslims, took up arms against a regime they hated. Kurds in the north also took up arms. During the war, President Bush had called again and again for the Iraqis to overthrow Saddam. The ceasefire talks between Iraq & the Allies were held in coalition-occupied Iraq, near the town of Safwan. The Iraqi leadership wanted a deal that would return their captured territory and give them the freedom to crush the rebellions. Accompanied by the Saudi commander-in-chief, Norman Schwarzkopf led the defeated Iraqi generals to the tent where the meeting would be held. Once the talks got under way, Schwarzkopf got everything he wanted, but so did the Iraqis. The Iraqi generals got exactly what Saddam wanted, to the astonishment of some of the civilian architects of the war. Saddam Hussein now moved forces loyal to him from Baghdad to suppress the uprisings in the south. American troops could see the fighting from their positions, but they were ordered not to intervene. 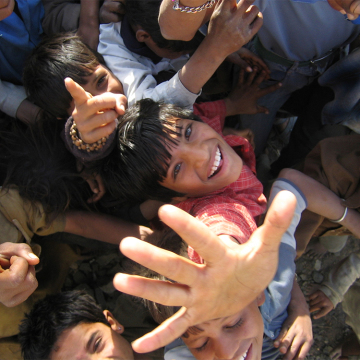 Inside Iraq, as each rebel village and town fell, there were terrible reprisals. 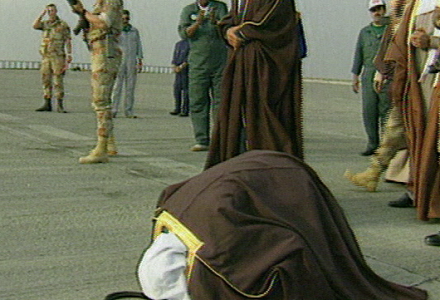 Two weeks after the liberation, the Emir of Kuwait returned to his country. 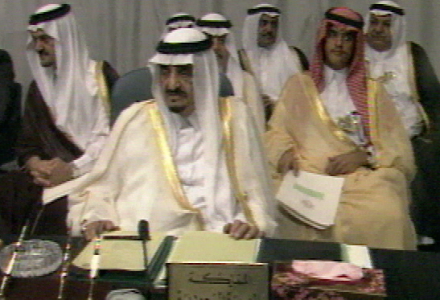 The allies had fought a war for Kuwait and its oil and against the tyranny of Saddam, but the promises of a greater democracy in Kuwait would come to little. On the streets, the priority was revenge. Hundreds of Kuwaitis had died during the occupation and now vigilantes picked up suspected collaborators on the flimsiest of evidence. 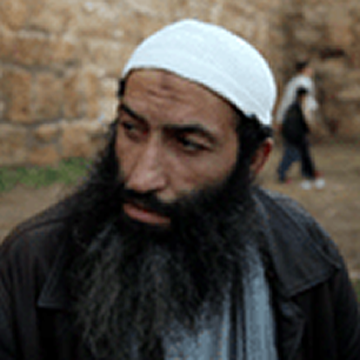 Palestinians in particular were under suspicion. 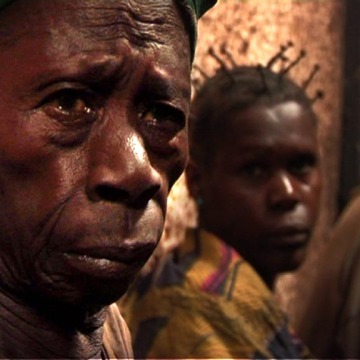 Many were tortured, hundreds disappeared and 400,000 were eventually driven out of the country. 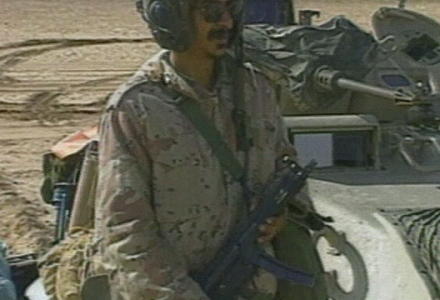 The Gulf war left the Iraqi armed forces broken. U.N. teams were sent in to dismantle its nuclear and biological weapons programmes and sanctions cripple the economy. It took seven months to extinguish the oil wells which burned across the battlefield. The war had changed the balance of power in the Middle East and ignited the peace process between Israel and its Arab neighbours. 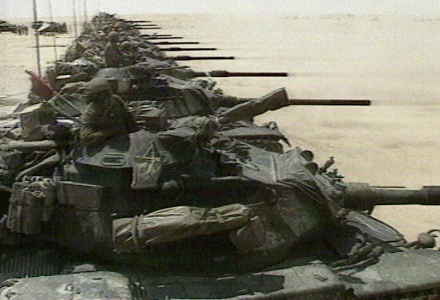 Part six of a 6 x 50-minute documentary series on the first Gulf War. These films can be bought individually or as a series.